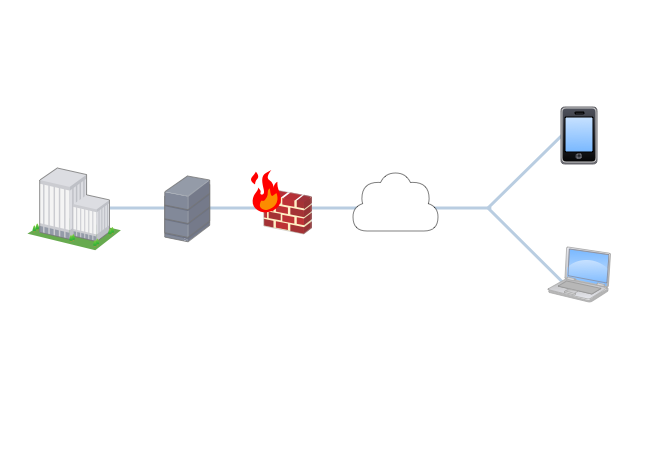 Before you set up a complex network of servers, routers, and firewalls, you should map out your plans with a network diagram. Visually laying out your network architecture gives you a chance to make sure you’ve thought through every device or component to make sure the entire system works properly. Conversely, should something go wrong in your network down the line, you can use your diagram to troubleshoot issues. 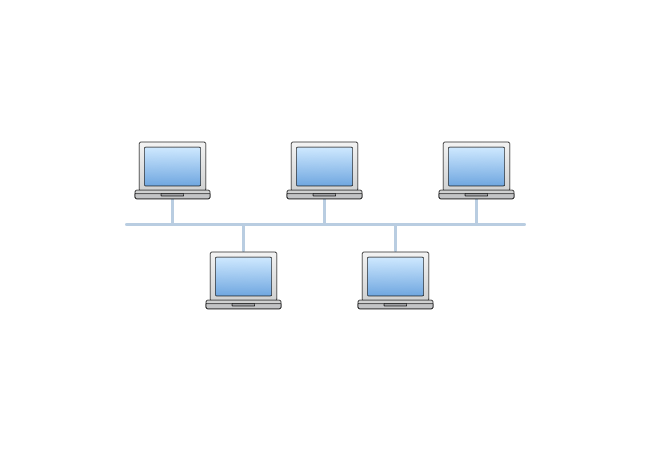 We created this guide to help you learn how to create useful and informative network diagrams. people wanting to brush up on the fundamentals of network diagramming. We have broken things up into three parts. 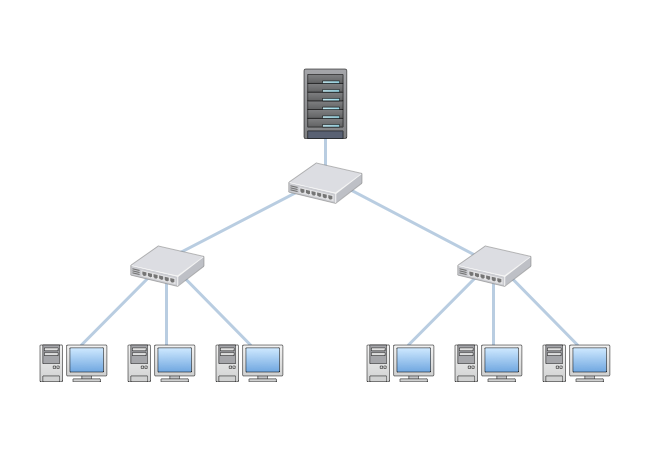 An overview Learn about the uses and topologies of network diagrams. 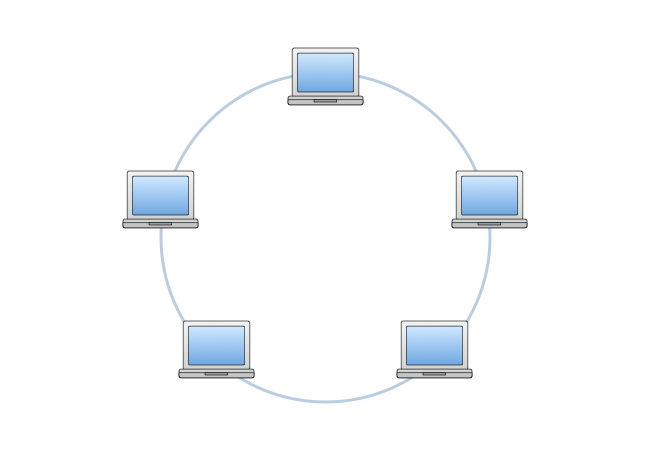 Creating network diagrams Understand their symbols, see examples, and learn to make your own. Advanced tips & tricks Master best-practices, and learn what common errors to avoid. 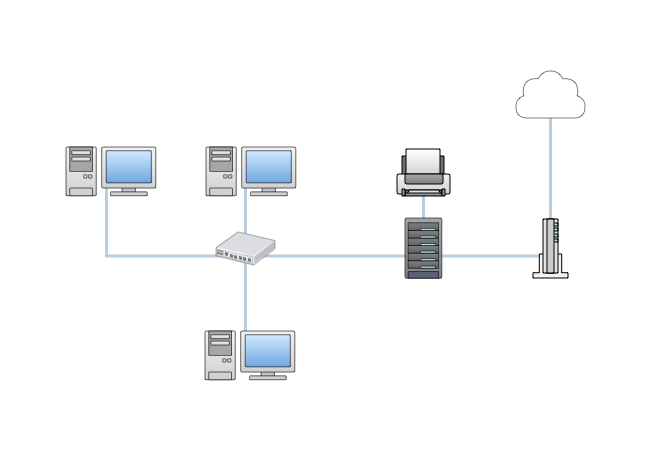 Network diagrams are used to visually explain computer or telecommunication networks. They show the various components of a network and how they relate to one another. A network diagram can be as simple as a single application or as complicated as an entire enterprise. And they are used to represent all kinds of networks including home networks, wireless networks, LAN networks, activity networks, and more. 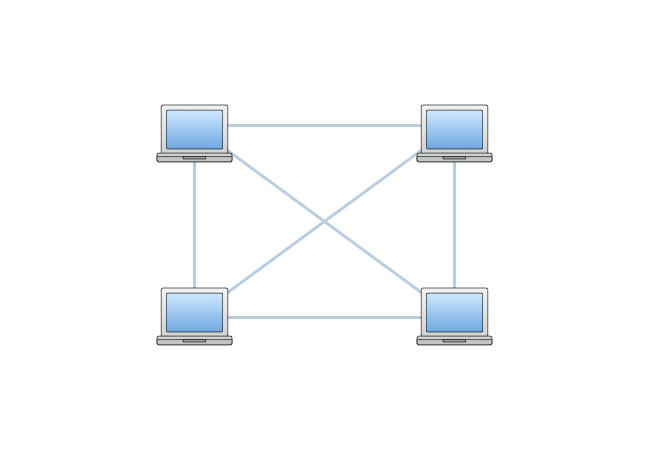 We divide network diagrams into two types: physical and logical. Physical network diagrams show the physical layout of the devices that make up a network, similar to a floor plan. This includes cables and hardware. Logical network diagrams show how information flows through a network and how devices communicate with each other. This includes subnets, network devices, and routing protocols. 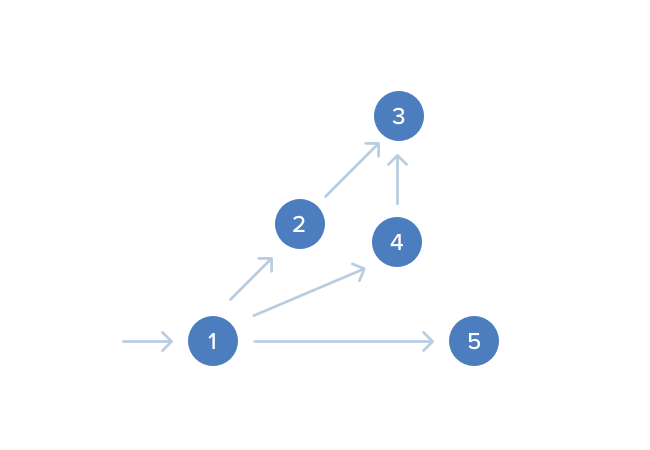 Network diagrams are used to show how a large project or task can be broken down into a logical series of subtasks. They provide another way to analyze company projects. Act as documentation for internal/external communication, onboarding, planning, etc. There are a few basic arrangements most network diagrams follow. These arrangements, or topologies, can describe either the physical or logical aspects of a network. While the logical and physical topologies of a particular network may resemble one another, they don’t have to. For example, a network that exists as a star topology physically may follow a bus topology logically, as is the case for a twisted pair ethernet network. Each type of topology will have its advantages and drawbacks, making it important to pick the typology that fits your circumstances. The type of typology you choose will affect the performance and stability of your network. A bus topology is also often referred to as a backbone, linear, or ethernet topology. Nodes are connected to a central “bus” with exactly two endpoints. Bus topology is easy to configure and requires less cable than any other topology. However, if the central bus breaks down, so does the whole network, making it difficult to identify and troubleshoot the problem. A ring topology, as you might guess, is made up of nodes connected in the shape of a circle. Information is sent through the circle until it reaches its destination. Similar to the bus topology, unfortunately, when one node fails, the whole network fails. However, although bandwidth is shared across all the devices and connections, ring networks can outperform bus-based networks. Plus they are the easiest topology to re-configure, i.e. to add or remove devices. Star topologies are one of the most common arrangements. All nodes connect to one central hub or switch through which all information passes. These topologies are more reliable than either bus or ring topologies because individual nodes can fail without affecting the rest of the network. This also makes it easy to take down any individual node for repair. However, if the central hub fails, the entire network will stall. Plus, cable costs tend to be higher for star networks. There are two types of mesh topology: full mesh topology and partial mesh topology. 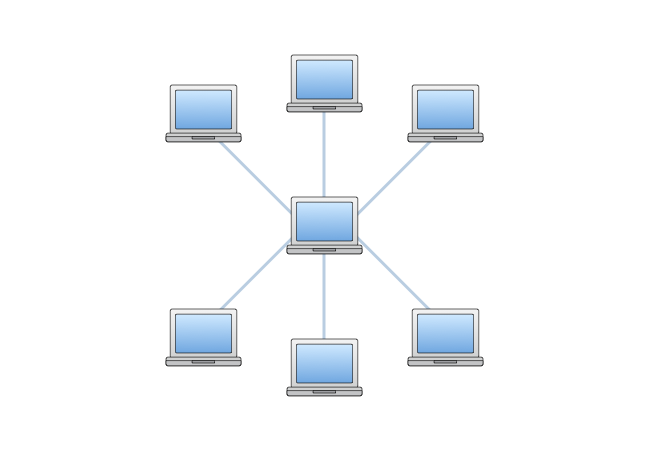 In a full mesh topology, each node is directly connected to every other node. In a partial mesh topology, nodes are only connected to the nodes they interact with most. Each node in this type of network diagram relays data for the network. Tree topology is a combination of bus and star topology. Most networks employ some combination of topologies to form a hybrid topology. Since a network diagram is a visual representation of an actual system, it relies on symbols that represent both physical entities and kinds of relationships that exist between entities. 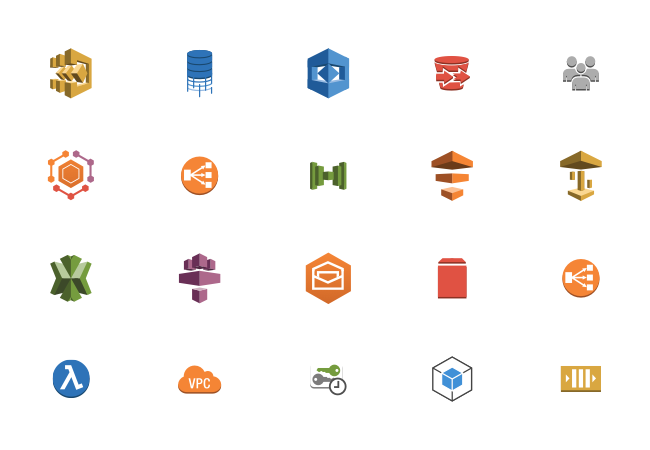 Amazon Web Services and Google Cloud Platform are two of the leading providers of cloud hosting services. 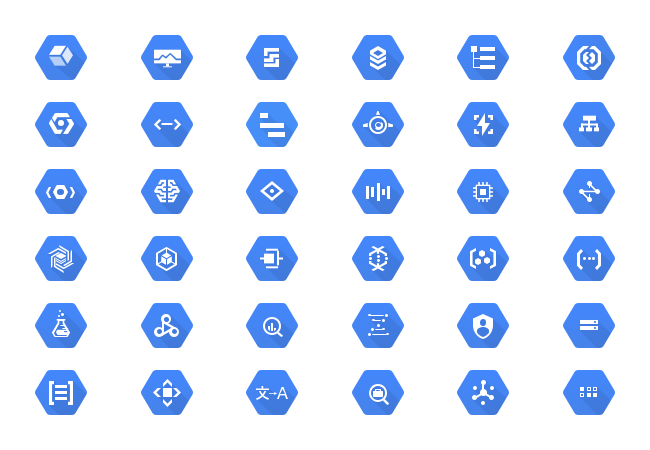 Each have their own sets of symbols for describing networks hosted on their services. Like most kinds of diagrams, there are common terms people use to talk about the relationships between shapes. Activities, which represent operations, are represented by arrows to show direction. Predecessor activities must be completed before the start of another activity. Successor activities follow another activity and cannot be initiated until the activities that come before it are complete. Concurrent activities start at the same time. Dummy activities do not use any resources but depict dependence. Events, which represent the start and/or completion of one or more activities, are represented by circles called nodes. Merge events occur when one or more activities connects with an event. Burst events occur when one or more activities leave an event. Merge and burst events occur when one or more activities merge and burst simultaneously. Sequencing refers to how devices or activities act in a series as information is transmitted. Sequencing is used to determine what jobs follow and proceed, what jobs run concurrently, and what controls the start and end of a transmission. Network diagrams vary by the type of network they represent and their network topology. 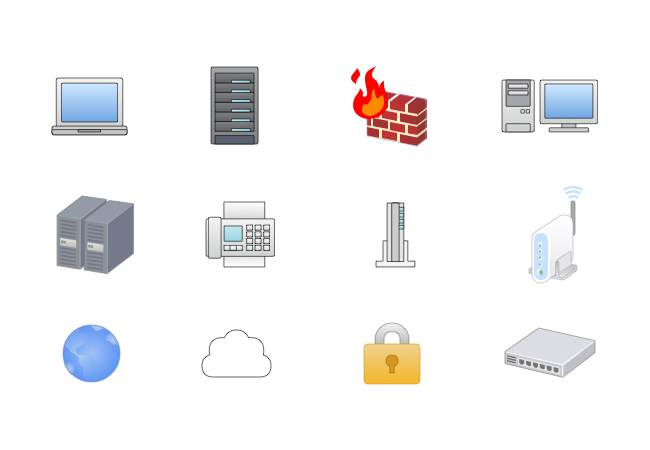 Since network diagrams can be used to represent basically any network, you’ll find a lot of varieties out there. Before you start plopping down shapes and arranging them, make sure you’ve set a clear goal for your diagram. Then think about what needs to be included in order to achieve that goal. Always remember: it’s better to create multiple diagrams to capture complex ideas rather than cramming too much information into a small space. Once you’re ready to start diagramming, log in to your Cacoo account and open up the Editor. If you don’t have an account, you can sign up for a free trial here. Select a template or blank canvas. The template library will pop up automatically when you open the Cacoo Editor. You can either select a relevant network diagram template to get you started or create your work from scratch with a blank canvas. Add all your equipment. Whether you’re working with a template or blank canvas, the first thing you want to do is make sure you have all the equipment you need on your canvas. Duplicate (Command/Ctrl+D) any shapes you need more of, delete ones you don’t, and add new ones from the library of shapes. Simply drag and drop shapes from the shape library onto your Cacoo canvas. Don’t worry about connections just yet. 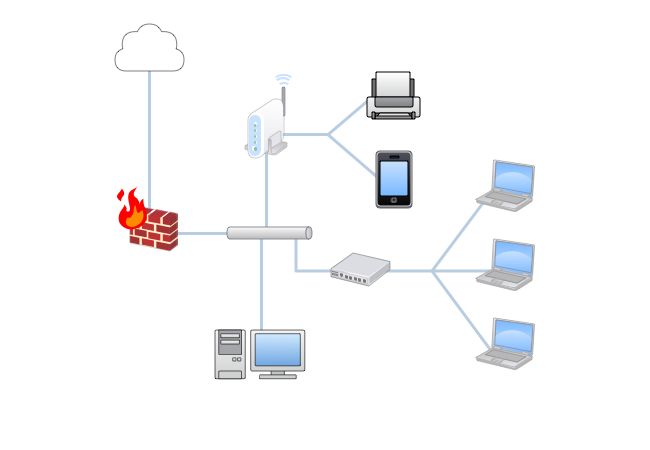 Focus on representing every device, server, router, firewall, or other components that are a part of the network. Arrange your shapes. Looking to your stated goal and the network topology you plan to follow, begin moving your shapes around the canvas. You can click each shape and use the helpful guidelines provided in Cacoo to align your objects properly. For more on network typologies, visit our network topologies section. Label your components. Using text boxes, you can include any additional information your viewer may need to know such as names, IP addresses, device types, etc. Alternatively, you can number each component and provide this information in a separate legend. Add connections. Use lines between your components to show how they are connected by the flow of information. You can move the existing lines if you initially chose a template or select the “New line” icon in your top menu to create and style your lines. Arrows can depict whether an event is a merge event, burst event, or merge and burst event—revisit our network diagram terms section for more on these terms. And finally, adjust line styles with the inspector tool. Clean up your formatting. Once your layout is complete, you can make final adjustments to the placement, size, color, and other attributes of your diagram elements. Save your diagram & share it! Select the “Save Diagram” button at the top of the Editor to name and save your diagram. The “Export” and “Property” buttons will provide you with various options for sharing your diagram including exporting as a PDF or SVG, sharing on social media (Twitter, Google+, Facebook), or sharing with a link. You can also embed your diagram on a website. While creating network diagrams from scratch is easy with Cacoo, using templates can greatly speed up your diagramming process. There are many different types of network diagram templates to choose from in Cacoo. Simply open the Editor, choose a template to get you started, and begin customizing it to your flow. If you create a diagram you think you’ll want to replicate, save it as a new template or stencil. With custom templates and stencils, you can recreate your best work again and again. Use commonly accepted symbols and icons. Like most technical diagrams, there are commonly used shapes and icons people have come to expect when viewing a network diagram. Using shapes like the ones available in Cacoo, you ensure that your audience will easily understand your diagram. While it may be tempting to get overly creative with your diagram, the risk is usually not worth the reward. Don’t let lines cross one another. It becomes difficult to decipher paths of information when lines cross. Always create enough room in your diagram so that lines never have to cross. Using the grid background option in Cacoo along with the dotted guidelines that pop up when moving objects, it’s easy to properly align objects for consistency. Use different colors for different connections. You can use different colors for your connection lines to help viewers more easily decipher connection types. Always direct arrows left to right. 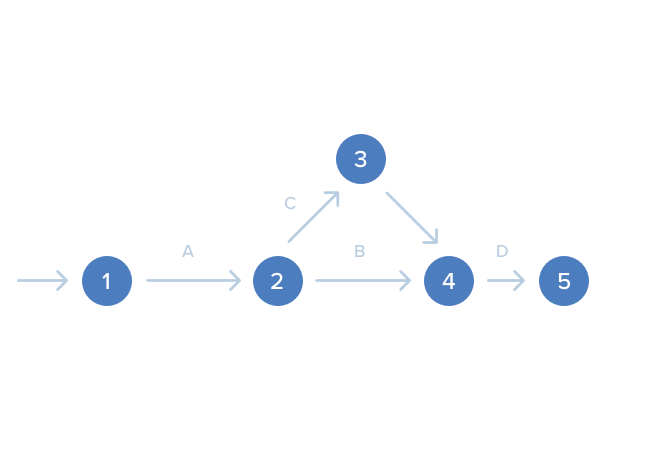 Your diagrams should flow in one direction, left to right, to keep the flow of your diagram clear. Make sure there is only one start event and one end event. If you are trying to represent more than one, try creating a separate diagram instead, so each one clearly only depicts one start and end. There are a few common formatting errors you should always avoid. Looping. 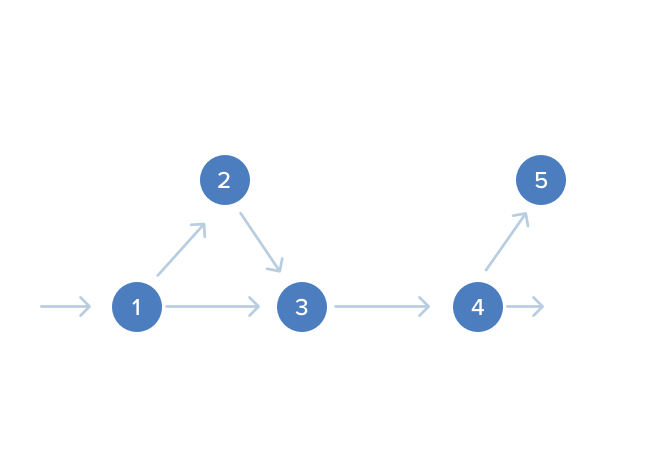 Your elements should never form an endless loop in the network diagram. All information should go from start event to end event, without getting trapped in a loop. Dangling. You should also never have one element that is disconnected from all the other activities. If information enters this event, no activity will emerge from it. Dummies. People sometimes use dummy elements for connections that don’t exist or are imaginary. Usually these elements are represented by a dotted arrow. Cacoo is simple to use, easy to learn, and built with collaboration in mind. Using our cloud-based editor, your team can collaborate on diagrams in real-time. With in-app comments right on diagrams and our presentation mode, you can get easy feedback to refine your work. Shared folders give your team gets access to all the diagrams they need. And sharing diagrams with important stakeholders takes seconds (no downloading or account creation required on their part). You can create all kinds of professional diagrams; not just network diagrams, but flowcharts, sitemaps, wireframes, mind maps, and more. Try it out for yourself with our 14-day free trial. No credit card required. We also offer a Plus plan for those who don’t need our more advanced collaboration features but are still interested in the joining the 2.5 million users who depend on Cacoo for their diagramming needs. Try it today with our 14-day free trial!